With the construction industry being one of California’s most dangerous occupations, accidents happen frequently. Because of the heavy machinery used, exposed parts, and dangerous conditions many construction site accidents result in serious injury. These injuries are usually a result of oversight, improper execution or someone’s lack of awareness. Falls, falling debris, electrocution or machinery accidents resulting in spinal injuries, head injuries, or burns serious injuries are common construction site risks. Such catastrophic injuries often require lifelong medical care. There are many hazards at a construction site and a single mistake can cause potentially dangerous side effects resulting in serious injury. The general contractor and other companies on site are responsible for the safety regulations that have been established by the Occupational Safety and Health Administration (OSHA). Every company and person in the construction industry must follow these rules and regulations. However, California Law prohibits and employee from suing their employer for on-the-job accidents, no matter how severe the injuries. Claims due to negligence from an employer are handled through worker’s compensation. Although it is impossible to sue the employer for work-related injuries, construction site workers are able to bring suit against a third-party should they be found responsible for injuries suffered. Third-party liability can be placed on various entities such as negligent contractors/sub-contractors, equipment manufacturers or property owners. This is a separate claim from the workers compensation claim and may result in greater compensation for work related injuries. Construction sites are often dangerous working environments, but the injured worker is not without recourse in the case of an accident. When an accident occurs at a construction site, it is comforting to know that you may be able to claim compensation or benefits to cover any losses. 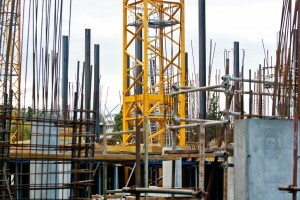 At Berman and Riedel, LLP, we help victims of construction site accidents obtain full compensation for their injuries. Our attorneys work closely with a team of highly-respected experts to forecast exactly what affects the injuries will have on the victim’s life both presently and in the future. Our lawyers, with support from a team of experts, works diligently to recover the past and future medical expenses, pain and suffering damages, damages for the loss of enjoyment of life, and lost income to which our clients are rightfully entitled. Our attorneys can offer the experience and skill necessary to provide you with advice on how to protect your legal rights. Contact an attorney at Berman & Riedel, LLP to discuss your legal options. Initial consultations are always free of charge.